This is the first time I've taken a nice "cooked meal" photo with the white backdrop and lighting! I should start doing more of these. It's tough because I'm usually cooking the meal for dinner and by the time I'm done everyone is ready to eat; not very conducive for setting up a mini photo shoot. Anyways! I'm a fan of Italian seasoning so I had a feeling I'd really like this recipe. That assumption was correct! The seasoning really brings the rest of the sauce together, and overall it didn't take long to make this dish at all, maybe like 30 minutes. Thank you to The Recipe Critic for this dish- definitely keeping this in mind as a weeknight dinner option! 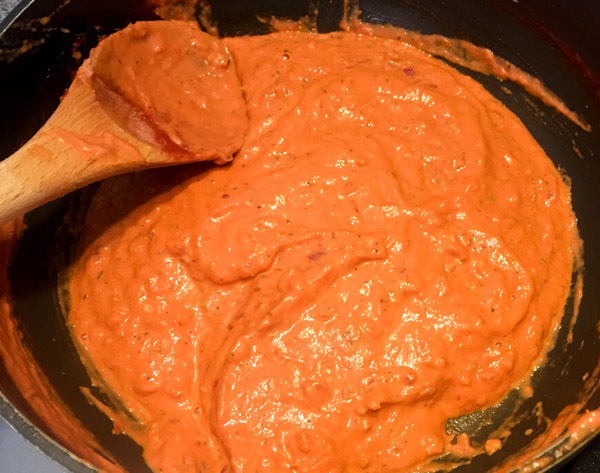 ** I'm only using 2 for this recipe, but the sauce can be used in leftovers the next day! First we'll cook the chicken breast. I flattened out the chicken breasts and then placed them in a ziploc bag. I added 1 tbsp of oil to the chicken, and then seasoned them with salt and pepper. Let the chicken sit for 10 minutes to marinate just a bit. Once done I grabbed a skillet and added another tbsp of oil. Turn the heat to medium high and cook the chicken for 3-5 minutes on each side, or until cooked through. Remove chicken and set on a plate. 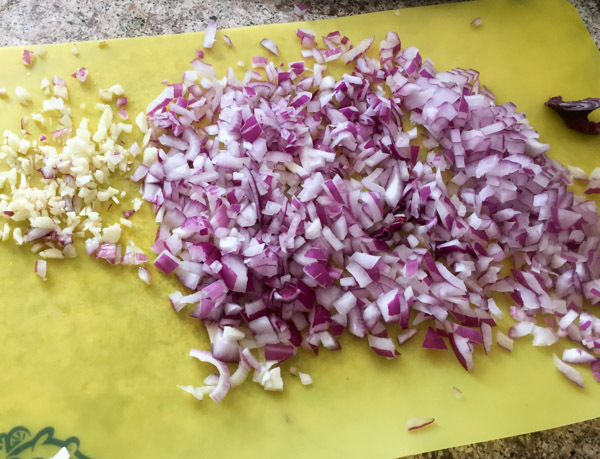 Now chop up the onions and mince the garlic! 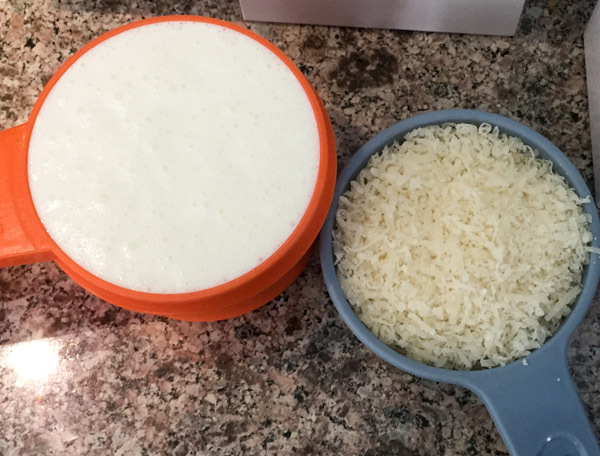 Measure out the heavy cream and parmesan for the sauce. Add the remaining 1 tbsp of oil and keep the heat to medium high. 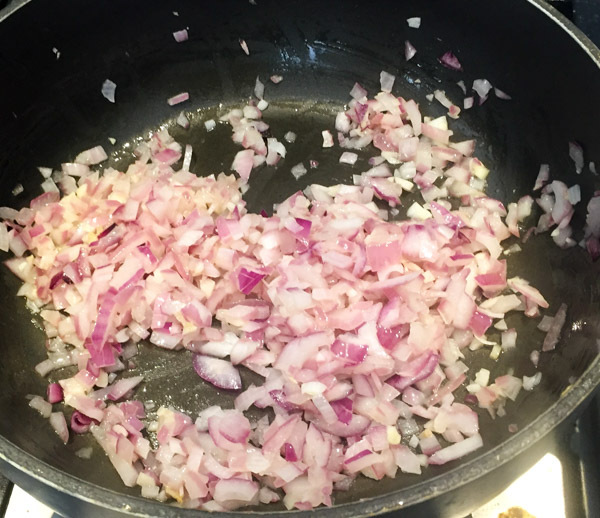 Saute the onions and garlic until the onions are fragrant and clear. Keep mixing to ensure the garlic doesn't burn. Add the tomato sauce and give it a quick stir. Add in the heavy cream and parmesan cheese. Mix to incorporate and then add in the Italian Herb Seasoning. Stir to combine once more. Optional: I put the sauce through the food processor to break up any extra onion chunks. Add it back to the skillet and return to a medium high heat until gently simmering. You can also season the sauce with any extra salt and pepper. 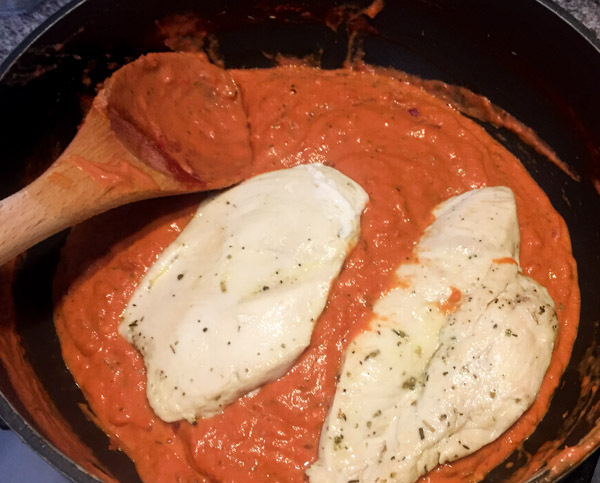 Add the chicken and coat it with the tomato sauce. Turn the heat down to low. Sprinkle the extra parmesan cheese over the chicken breasts. Once the cheese has melted you're ready to serve! 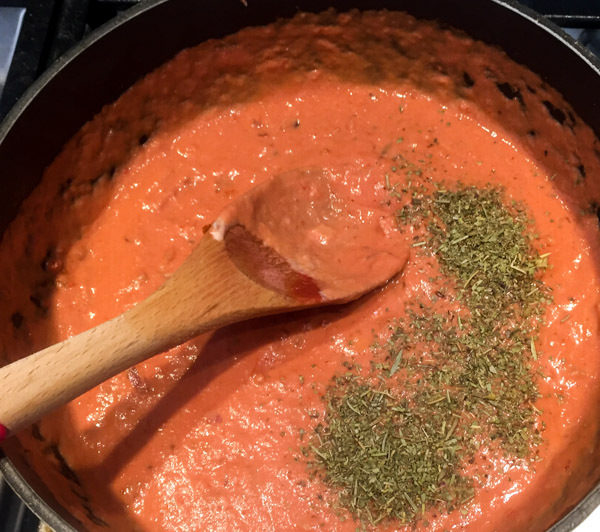 I garnished mine with a little basil on top, but you could add more Italian Herb Seasoning if you wanted, You could also have this over pasta for a tasty addition.